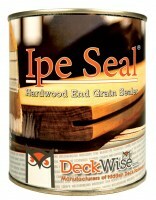 IPE Oil Exotic Hardwood Finish and End Grain Sealer for wood. 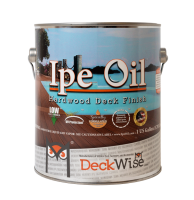 Ipe Oil™ Hardwood Deck Finish offers exceptional penetration and protection into Exotic Hardwoods such as IPE and Mahogany. 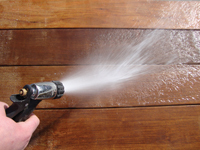 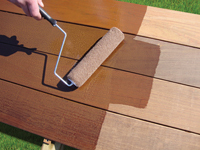 The IPE Oil absorbs deeply into the wood grain while enhancing the natural grain of your wood protecting it from UV discoloration and water damage. 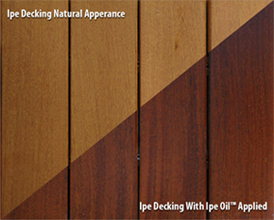 Use IPE Oil Finish for the best protection for your Hardwood Decking and IPE. 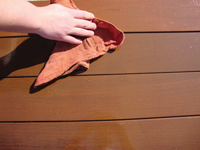 Step 1: Clean the deck surface and let dry.